Hey Angels!!! 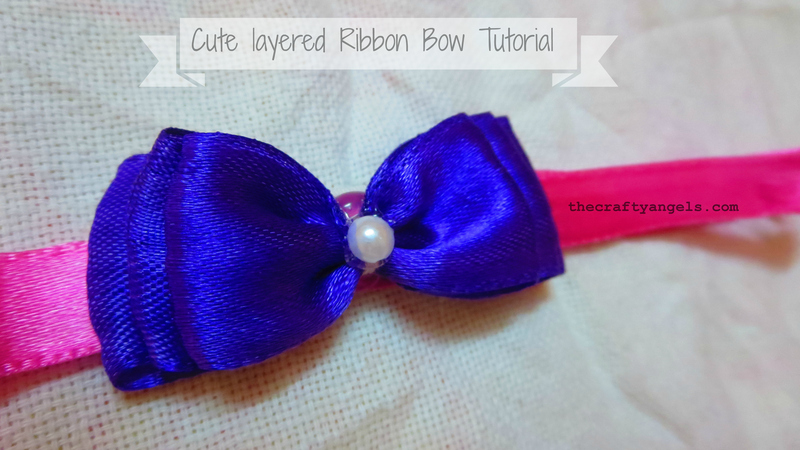 A Photo tutorial to learn how to make simple layered ribbon bows. They can be used as ribbon bows for gift wrapping or headbands or dresses. Todays is an easy craft – ribbon bows! I still remember the time when i was in school – thats when we had to tie up two separate pony/braids on either sides and secure with red ribbon and how much I used to try to make the bow if not cute symmetric at least! I wish I could go back in time and make these ready made cute bows for myself so that I could shine within my girls circle ( I wish!). So now that i cant go back in time, I have decided to be like those mums who hoard cute bows n hairbands for their little girls 😀 and since i find them too pricey and difficult to find the right design, I decided to DIY! Quilling is the in-thing these days and almost everyone is trying their hand at this addictive paper craft. The tutorial I am sharing with you all today is my first exhaustive quilling project that I did for a craft competition in my office. Quilling is an age-old paper craft that involves many many techniques both old and evolving. 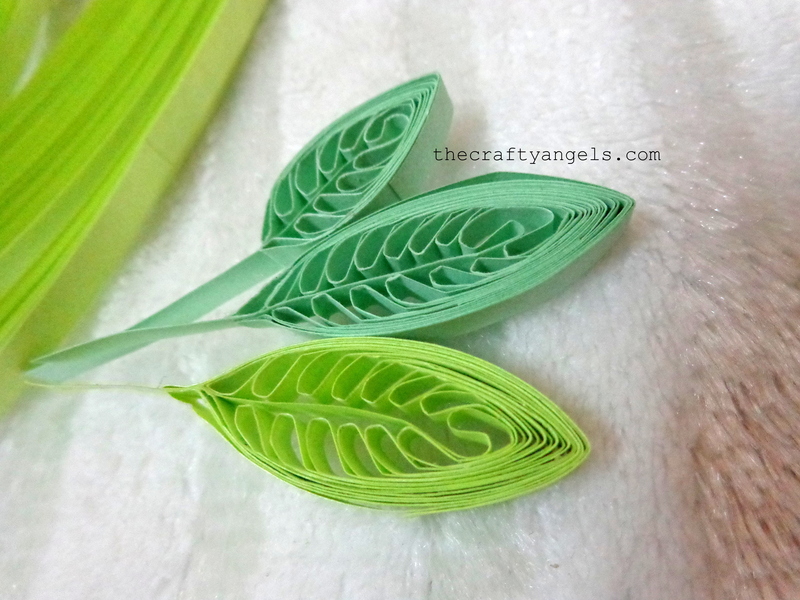 There are umpteen number of quilling tutorials in the blogosphere and youtube but here I am sharing with you my personal experience and instructions for quilling leaves.